Lindsay Anderson's sprawling, raucous satire on the state of Britain in 1973 is one of the most remarkable films in the history of British cinema. 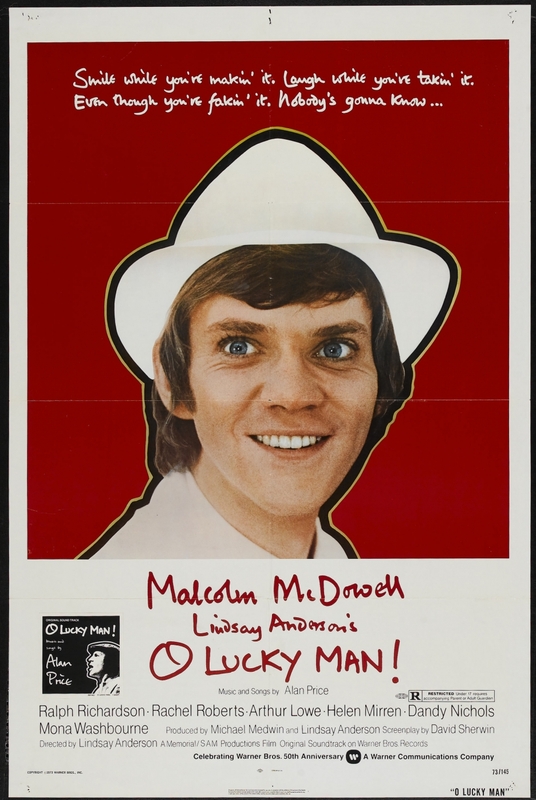 It follows the adventures of Mick Travis (the hero of Anderson's most celebrated film If) travelling the country as a coffee salesman and hungry to climb the ladder of success. Often compared to 'Candide' or 'The Pilgrim's Progress' the narrative is underscored and commented upon by the music of Alan Price - frequently playing on camera. The film's director Lindsay Anderson made only 8 films during a career mostly spent in theatre. Anderson's greatest works 'If' and 'This Sporting Life' are eloquent on the subject of class and privilege in British society and feature outstanding performances at their heart. The cast of O Lucky Man! is exceptional - comprising a handful of great British actors including Ralph Richardson, Arthur Lowe, Rachel Roberts and Helen Mirren. 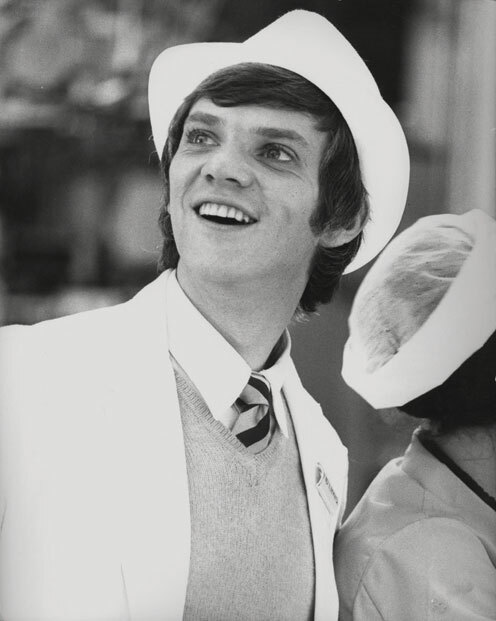 The central role of Mick is played by Malcolm McDowell - an iconic performer whose portrayal of Alex in Stanley Kubrick's A Clockwork Orange is one of the most chilling and memorable creations in film. At three hours long O Lucky Man! is not for everyone but the invention, energy and scathing wit of this movie make for an exhilarating experience. October 15, 2012 by Lucas Jones.